Optigear is a direct to consumer optical supply e-commerce website. It’s a fairly robust site with over 200 products. We built the original e-commerce site from scratch using classic ASP and a SQL Server database around 2007. It was designed for 800 x 600 screens and obviously wasn’t response. In short, it was WAAAAY overdue for a makeover. 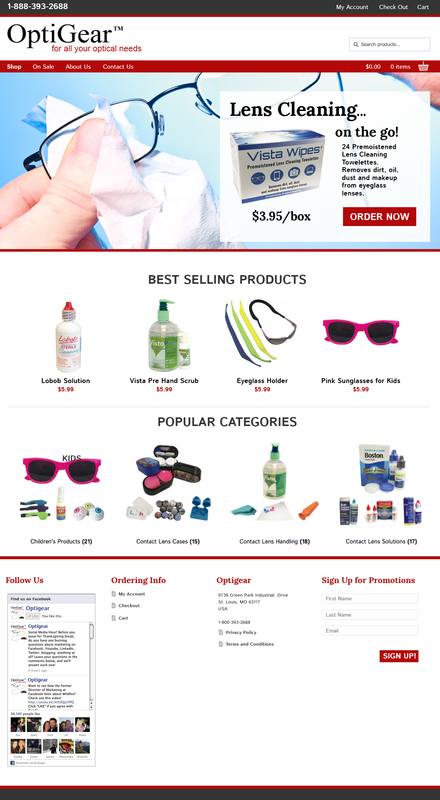 The new Optigear.com site is built on the WordPress platform using the Woocommerce plug-in as the e-commerce engine. It is fully responsive. We used Bootstrap 3 for HTML / CSS framework. The new site has demonstrated to us that good usability correlates with sales. In the first three months of its launch, the new Optigear.com is receiving more orders each month than the old site. It’s also much easier to maintain.